These elegant ladies’ high boots feature a high-quality leather upper in timeless black, and capture attention at first sight with their bold stitching and strap with a buckle. 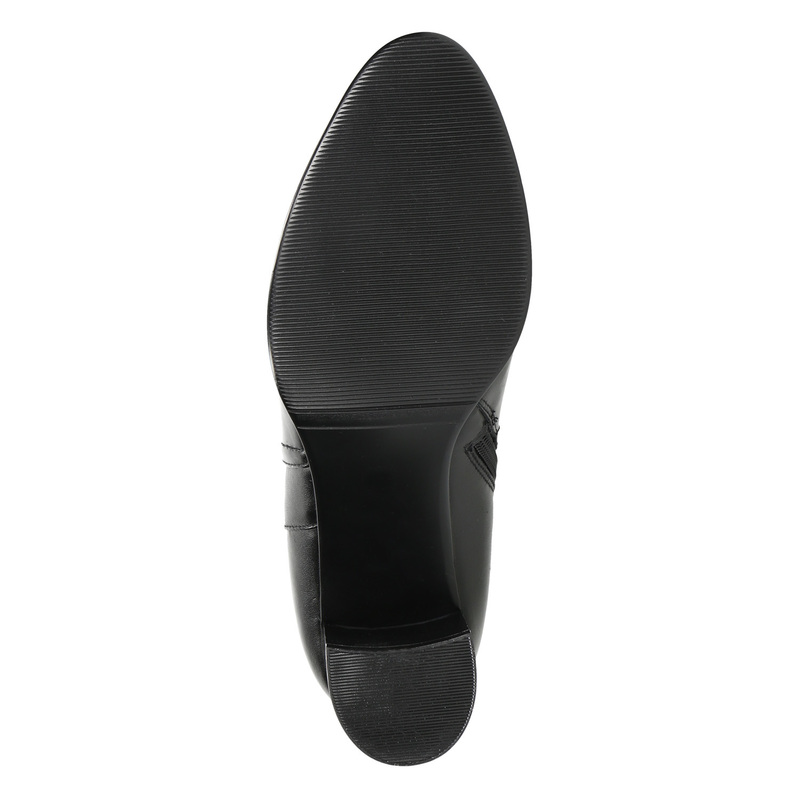 The heel has an elongating effect—making you look like you have legs for miles—while also providing stability, thanks to its shape. 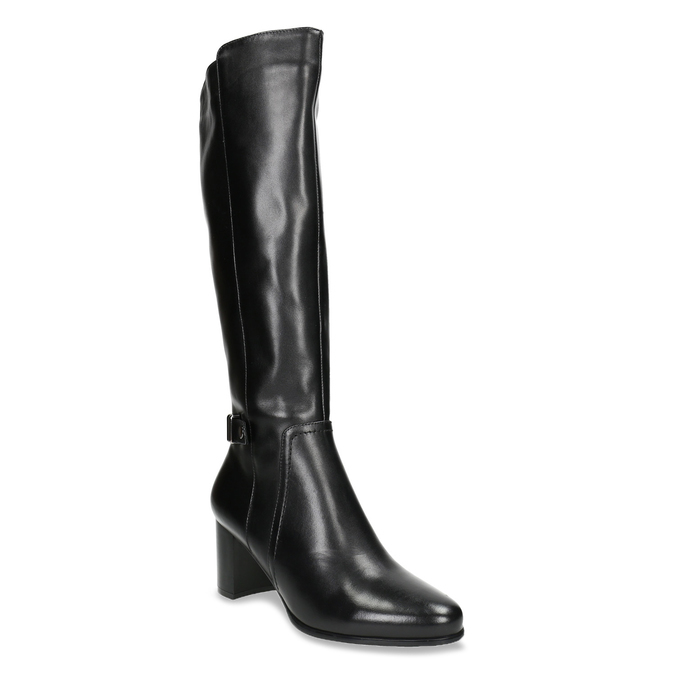 These boots simply beckon to be paired with a jumper dress and a crossbody handbag.